Multiple messages referencing the original creator of Minecraft have been removed from the game in its latest update. While Markus ‘Notch’ Persson is still featured in the game’s credits, his name has been removed from messages appearing on its intro screen. The latest Minecraft snapshot released yesterday, and is mostly focused on bug-fixes and the ways in which you can interact with villagers during raids. The snapshot also adds several new splash texts that appear on the game’s menu screen, but removes three others. Two of those – “made by Notch” and “the work of Notch” – reference Persson directly, and the third, “110813,” is a reference to the developer’s wedding date. It’s also worth noting that over the years, Notch has become an increasingly controversial online presence. In recent years, the content of his Twitter account has been widely criticised for a variety of inflammatory statements and references to conspiracy theories. 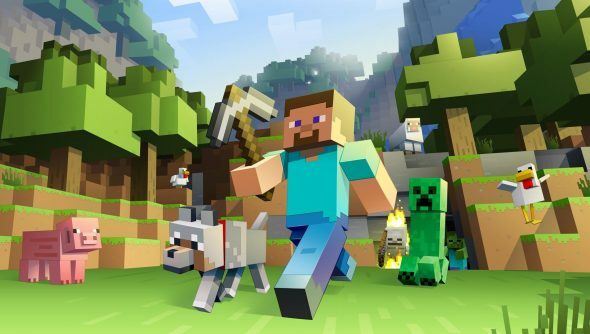 Given that Minecraft’s target audience is primarily made up of children, I don’t necessarily blame its new developers for wanting to distance themselves from those ideas. We’ve reached out to Mojang for more information about the new snapshot, and we’ll update this article if we hear back.